I think the seed catalogues arrive a little earlier every year. Baker Creek’s beauty has sat on the coffee table, the dining room table, has gotten shuffled from shelf to shelf awaiting the right moment. You see, I know that once I open that book, I’ll be so engrossed, so enamored, lost in daydreams of overflowing vegetables and plotting our flower-growing expansion. It is difficult to be excited for the garden when MN winter is really only just getting started. If I imagine the earth between my toes before the new year has even arrived, I’m in trouble come the end of February. That last stretch of winter can be a difficult one, and pining for the garden only increases my impatience. Somehow, mid-January already approaches, though, so I’m about to open up this gem of a catalogue and fill it with my wishful markings. Sure, you can buy transplants at your local plant sale, but the experience and the end product are quite different. There is something really inspiring about starting your garden plants from seed. Inside this seed the size of a pinhead, there lies all the framework necessary to grow lots and lots and LOTS of food… Every year it boggles my mind that I can get multiple pounds of food from this one, tiny little seed. 2. You own it. 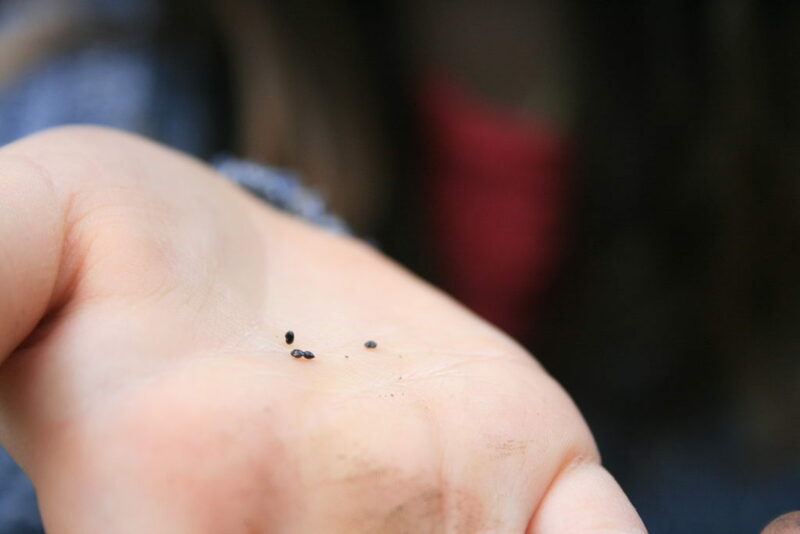 You’re far more connected to your food supply when you begin with the seed. You truly know where your food comes from when you start at the very beginning. You’ll know what I’m stumbling at articulating when you see those very first tiny leaves sprouting up, and follow that plant through to the days of bringing in baskets of peppers. Connectedness. 3. Quality. I am sorry to say that the plant starts you pick up at the nursery, or even the seeds you can pick up at the grocery store are not necessarily pollinator friendly. They are likely not heirloom or organic, either. If you want pure, quality seed, you can order right from reputable seed companies I link to below. 4. The infinite number of varieties to choose from. A tomato is not just a tomato, my friends. There are black tomatoes, yellow tomatoes, green, orange, pink… tart, juicy, meaty.. so many kinds of tomatoes! Each type of plant has numerous varieties, each with their own strength, number of days to maturity, etc. 5. Your garden starts will be stronger. With quality seed, quality dirt, the right light and your extra TLC, it’s not difficult to get plants that will be stronger and bigger than the mass-produced garden starts at a local greenhouse. Your plants will reward you with stronger bodies, and more fruit through the season. 6. Nothing beats the winter blues like sitting down with a seed catalogue and paging through their jaw-dropping photos, dreaming of your garden’s potential, then busting out the seed starting supplies when the ground is still covered in snow! 7. Starting your garden from seed is so. much. cheaper. An entire packet of 30 seeds is the same price as a pair of seed starts. 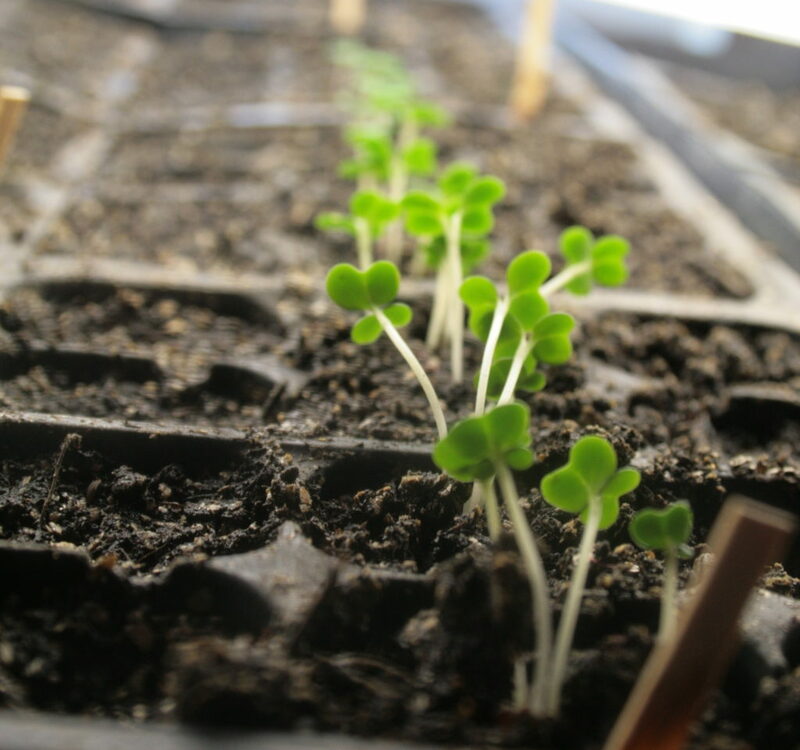 Sure, you might not grow 30 broccoli plants, but seeds will keep for several years. You can also organize a seed swap event where everyone brings one packet of seeds and leaves with a few seeds for 20 different plants! 8. 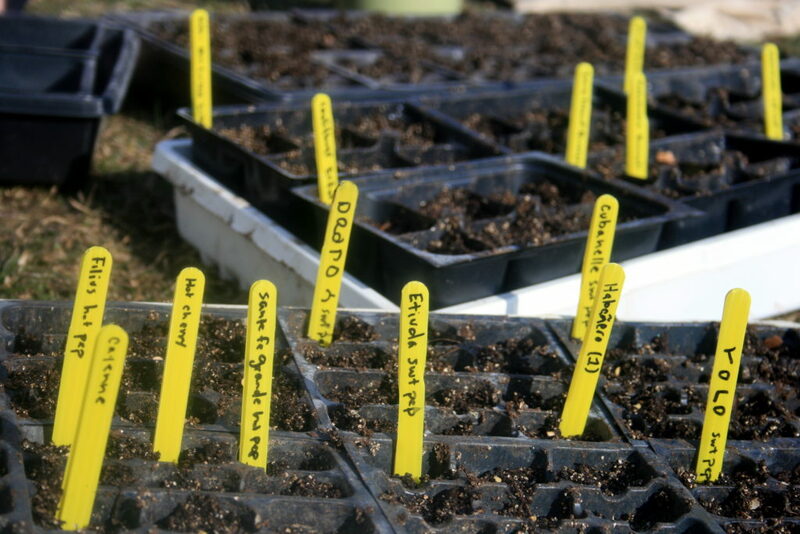 Starting your plants from seed is a fantastic activity for the little people in your life. 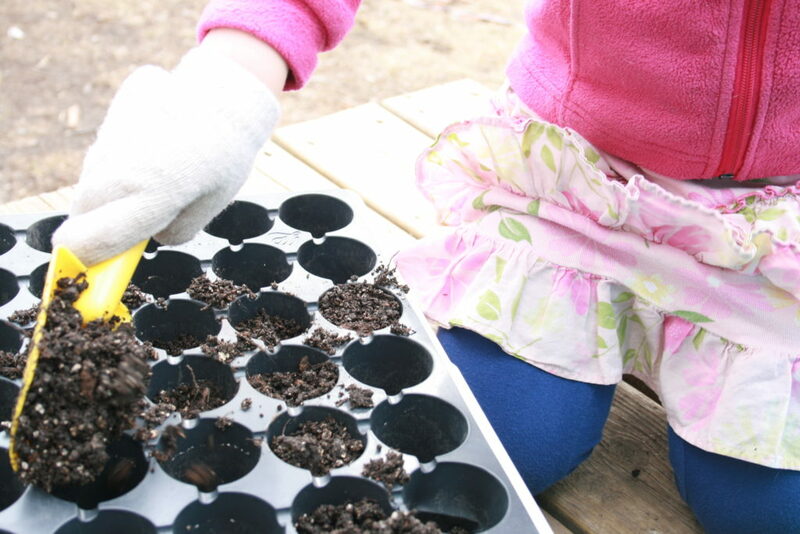 Even the youngest toddlers can work on their fine motor skills in a hands-on seed-starting activity. Seed catalogues are not just for the large-scale farmer, the die-hard field worker and the detail-oriented garden geeks. Seed catalogues are a great way to sit in the warmth of your winter home, and get your bearings on what is out there, whether you’re an experienced gardener or a complete newbie. People always ask me what I grow in my garden. Well, a little of most all the vegetables, I say! Sit back with a seed catalogue and you’ll soon see that there are so many vegetables out there. Don’t even mention the flowers. And within each vegetable type, there are usually several, if not hundreds, of varieties. I love to save seeds from what I’ve grown, but maybe even more so, I love to buy new seeds of things I’ve never heard of. The purple cauliflower, the gigantic radish, the tomato that stays green even when it’s ripe. The wide variety that is out there amazes me. The beauty of it all is astounding; and to watch it unfold in my backyard is nothing short of life-giving. Yes, I really do get this excited about growing food. The truth is, that I struggle to find the right balance between this fun variety exploration with my overly practical self who wants to get the most food possible out of our urban plot. 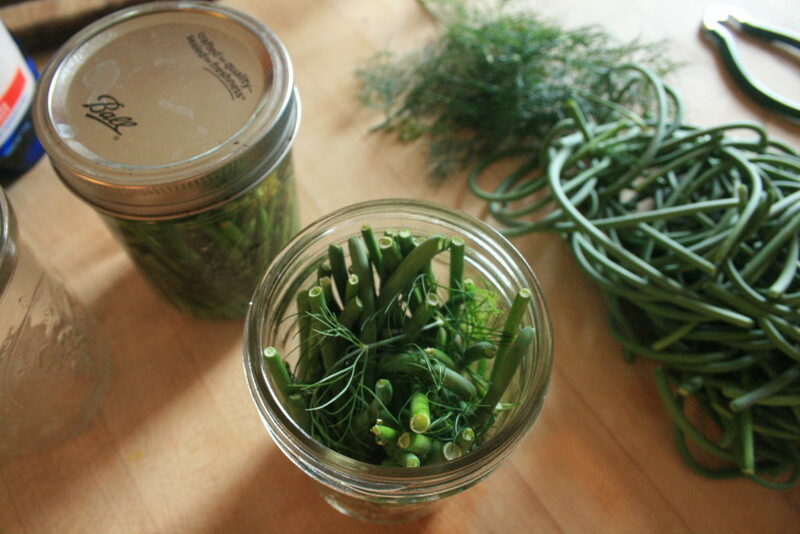 For me, it’s more than just a fun hobby; the productivity of the garden determines our diet, really. I’ll feed my family all season long, buying very little produce thanks to what is in the garden, and I’ll put a good portion up for winter, too. We eat from that food plot all year long. 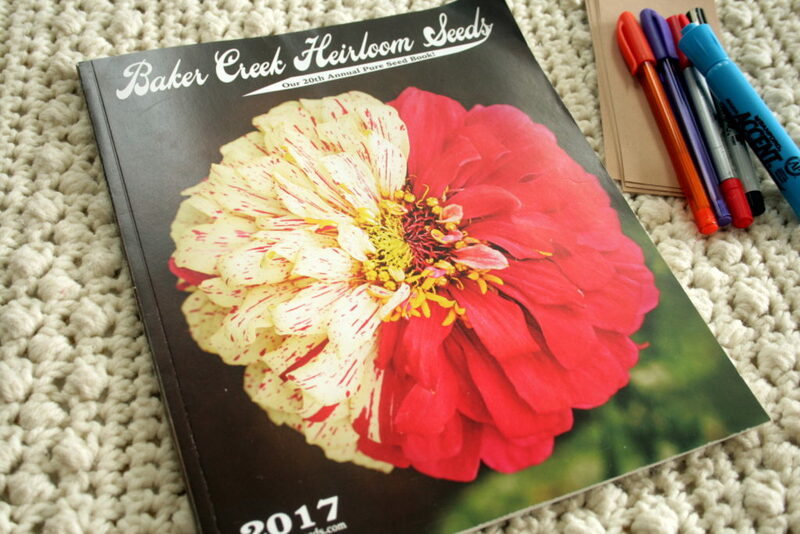 So every year about this time, I pick up the seed catalogue and find a few new and fun things to try, while also holding fast to some tried and true varieties that we see year after year. HOLD UP! Haven’t looked through a seed catalogue before? Ok, you are missing out on one of the true joys of winter! At no benefit to myself, I highly recommend Baker Creek Heirloom Seeds and High Mowing Organic Seeds. Get on the list, folks! I just ordered my fir st seed catalogue! I’m so excited but I know I’m going to have many questions ? Yey! I would love that! Happy page turning and garden dreaming, friend. Wonderful! Thanks for visiting my blog. It can be difficult to talk about gardening in a blog where we all live in different growing zones. Have fun preparing for spring and send along some photos of your garden some time if you’re willing! I love to travel and learn about cultures and places around the world.